The Mediterranean south is France’s biggest vineyard area, and one of the country’s most exciting wine-producing regions. So much so that over the past couple of decades folk from all over the world have been relocating to the south and following their vinous dreams, a move that invariably involves a change of career, from teaching, the law, advertising, finance, sales and marketing etc. At a tasting this month in London a number of these so-monikered, (for the purposes of creative PR, one imagines), ‘Languedoc Outsiders’ presented some of their wines. 13.5%. Light citrus, restrained nose. Light and intense melon on palate attack, backed up by big volume of fresh melon and spiced citrus with a creamy-toasted core. Nicely balanced with the freshness typical of Limoux. 13%. Light, with melon and bruised pear flavours. Smooth texture, with good fruit intensity focused on freshness and fruitiness. Nicely appealing, gentle wine of good value. 14.5%. 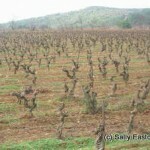 Typical blend of syrah, grenache and carignan. This one has a fragrant, strawberry compote nose, then a smooth, slippery texture, with plentiful supple and soft tannins, in an enticing and more-ish whole. Full, rich flavours in a medium bodied wine, despite the alcohol, which is integrated, if warming at the finish. 14.5%. Entirely from carignan. Bright, purple hint to the rim. Raspberry and strawberry fruits on the nose and palate. Crunchy fruit attack, with a sweet berry core, emphasising sweetness of fruit and lightness of nicely proportioned tannin. Alcohol invisible. Not a complex wine, but packs a lot of juicy flavour into an honest frame. Dutchwoman Lidewij van Wilgen said “I try to find the concentration in the vineyard not in the vinification.” She succeeded with this blend of grenache, syrah and carginan. 13.5%. Lifted strawberry aromas, then a darkly spiced attack, with aromatic hints of gentle biltong. Supple and medium weighted with a crunchy yet diaphanous texture. Nicely balance with a depth of fresh and rich fruit. Very good all round. Direct from producer website. First vintage for this Englishwoman. 13.5%. A truly fine expression of rather humbly-regarded grenache gris. A fresh, appley-citrus nose follows through on palate. Light and intense, sweet apple compote flavours with a fragrant lift to the mid-palate. This has a lovely purity of fruit concentration and definition, as well as a lengthy finish. 14.5%. Has a gentle strawberry fragrance typical of grenache. Sweet pure strawberry and raspberry on the palate in a delineated, fresh, light and intense flavour, with the alcohol goes entirely unnoticed. Elegance comes to mind, as does a silky texture that more established producers might give an eye-tooth for. 14%. Blend of 70% grenache, 20% mourvèdre and 10% cinsault. This has a fragrant strawberry perfume with hints of raspberry compote thrown in. It has smooth, youthful tannins that are softly crunchy. Full bodied, with black pepper spice, mouth-filling in a fresh, warming manner. Nicely structured, with backbone and well-toned fruit flesh. Good. 14%. A 50:50 marsanne : roussanne blend. Gently spicy, ripe stone fruits – apricot, nectarine – mix with a nutmeg-melon thing. Full-bodied, with a modestly fresh palate, more focused on its rich, rounded, full flavour, which it does well with very good flavour intensity and dimension. Long finish. 14%. Brigitte Chevalier said “the sand soil – from ancient sea sediment – brings finesse to the terroir.” Certainly the wine’s aroma is of fragrant summer strawberries, with a hint of complexing rumtopf on the palate. The blend of 85% grenache and 15% mourvèdre is smoothly-textured, youthful with a characteristic savoury note of mourvèdre and with an elegant lightness of fruit core. Good. 14%. A blend of 50% mourvèdre with the rest from syrah and grenache. Fresh raspberries aromas meld into a fresh meatiness on the palate. A bit of fresh biltong from the mourvèdre adds a spicy savouriness to the otherwise sweet and aromatic summer berry fruits. This is nicely structured with some attractive complexity in the gentle mix of meat and fruit. Good.